Today I am publishing a treat for us, as we have a guest author. 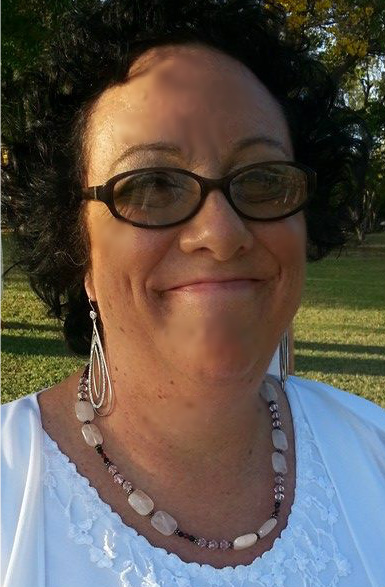 My second cousin, Susan Walker Youngblood Kerr is joining me to share an amazing family story. Let me introduce her to you first. 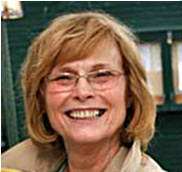 Susan married Robert Kerr, called Bob, and together they have three young adult children, Lauren, Robert, and Ryan Kerr. Ryan is married to Katy. Born in Virginia, Susan was raised around the world as she traveled with her career military family with Dad a Colonel at retirement. After marriage, Susan and Robert settled in Iowa, very close to the Mississippi River where it intersects with the Des Moines River. Susan has recently retired from a career in teaching, and Robert has farmed successfully for many years. 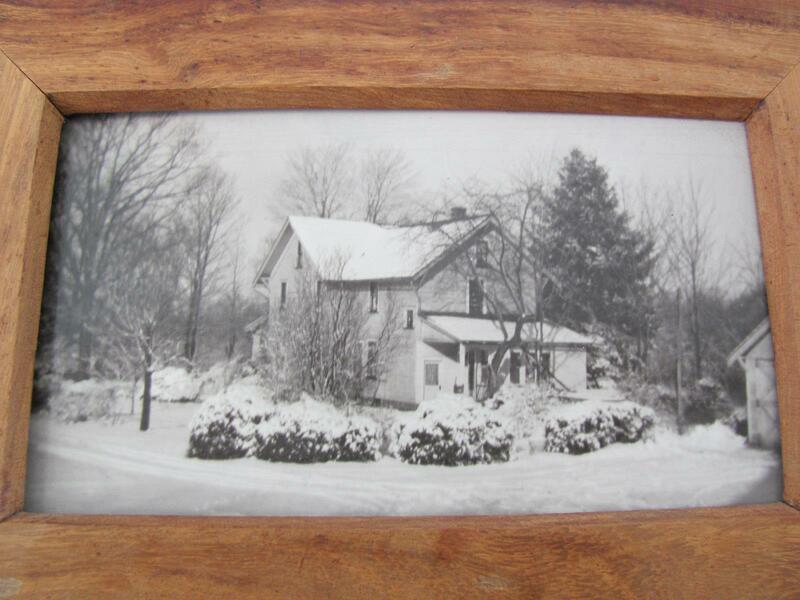 “We had a saltbox wood- framed farmhouse, part of it built in the 1800’s. We had remodeled the house and added a downstairs master bedroom and bath with a full basement underneath the addition. We had also added a computer room. The house was 2600 square feet on less than an acre. The Great Flood hit us ten years ago this month, June 15, 2008, but the story needs to begin in January 2008. At that time, I was teaching, Bob was farming and the children were 14,16, and 18 years old. In January 2008, I received an email at work that a family had a house fire and among items they needed were beds for their children. I had just bought full beds for my sons so I called my husband and he brought the twin beds over to the KEOKUK armory to give to a Sgt. Steffens. Sgt. Steffen was about a 6’ft 8 ‘’ guy that started crying when he received the beds the morning after the fire. He conversed with my husband and asked where we lived and farmed. My husband told him we lived and farmed on the Mississippi bottomland. Sgt. Steffen told Bob, my husband, that National guard had already been called out for a major flood on the Mississippi the following summer. We were in disbelief because we were at the end of a three-year drought! Barges were getting stuck and the river was less than five feet. An all-time low. Flood stage is 15 feet. However, we watched the weather patterns closely. Flood insurance is very costly in the Midwest. About March there were huge storms up north. We started watching houses plunge into lakes in Wisconsin. We decided that it was time to get flood insurance. It took 2 months going through red tape to acquire flood insurance but we were finally insured on Bobs birthday, May 12th. This is important because you have to have flood insurance in place 30 days before the time the water enters your home. We had to cancel our 20th wedding anniversary plans on June 11, 2008. There was a wall of water headed our way from Cedar Rapids, Iowa. The Des Moines River had flooded the entire bottom area of Cedar Rapids. Our farm is several miles from where the Des Moines and the Mississippi River intersect. The water was predicted to crest at 30 feet and our levee is built to hold up to 26 feet flood stage. On June 15th, the water was actually 32 feet! The water came up under the Canton Dam and flooded the Hunt Drainage District which is 32,000 acres of farmland. What a shock and nightmare as we lost almost everything! We were thankful, however, because we had gotten flood insurance. However, we were only insured 50 percent of the square footage. That is how flood insurance works. It doesn’t matter how old or new the structure is but how much based on $100.00 a square foot, it would cost to build a new house. We also had $20,000 coverage on contents but got some things out, so the assessors gave us $6,000 on contents. So, we had a check for $136,000 that we banked immediately. Believe it or not, we had been through the “once in a lifetime, 500- year flood” of 1993! We had just closed on the farm in May, then get flooded in July. Bob was a contractor so put the home back together. But I had no interest in doing this a 3rd time. It all has to do with mismanagement of our river system. The Mississippi is silted in. We moved into a house that was less than a mile away, up on the bluff road. It was basically a 1400 square foot FHA house with an added 4 car garage. The house had a black mold problem and they were asking $176,000 for it. No thank you. But the garage was great for moving our household items out. My eldest son started getting severe nosebleeds. His doctor told us to get the “ hell “ out of that house because it was killing him. Under doctor’s orders, we moved again, to a house on the river above the dam, in Hamilton, Illinois. It was a log house but had been steel sided. The outside of the house was ugly but the inside was beautiful log with 20-foot ceilings, a stone fireplace, and a wood burning stove. The house was fairly close to my job (10 minutes) but was 30 minutes from the farm. We learned then that in order to be an effective farmer you have to live near the farm. We lived in this home for two Christmases. It was a great place to clear our heads and heal our hearts. The girl’s bathroom had this huge jacuzzi tub where you could sit in it and not see over the rim, it was so deep. We loved this home and would have built one just like it, minus the siding, but location, location, location…. it was wrong. We had a plot map and asked everyone in our area if they would sell us some land on the bluff. Nothing, absolutely nothing would open up. (All of our land is in the floodplain) we looked for 18 months! One day we heard that a house on the bluff was in sheriff foreclosure. My husband had mowed the lawn there as a teenager. The house was padlocked but my husband knew the secret passage into the house and went in and looked around. We didn’t know who was handling the foreclosure so we called our county treasurer. She gave us the name of the realtor, Bert Berthound. We googled that odd name but nothing came up. I told my husband to try Gertrude. He did and the name of a realtor came up. We lost her trail in Hannibal, MO. My husband got the thought to trace who was paying the electric and water. He was told it was Century 21 out of Quincy, IL. He looked in the phone book and found five Century 21’s. On the 4th Century 21, he asked if there was a Gertrude Berthound. They said they had a Bertie Kunz. When he spoke to her she said Berthound was her name two marriages ago. The house was not on the market yet but she agreed to drive the 30 minutes to meet him. A half-hour later, this little lady drives up in her pickup truck with Harley emblems emblazoned on it, a tough but nice person to work with. Bob took her down to see our flooded house. When they came back he wrote out an earnest check and made an offer on the house she was handling. Bert said, Bob. I believe you need to up your offer $50,000 to buy this house. Bob said he would like to stay with his offer and see what happened. Bert called us a few days later to tell us that if we wanted the house, we needed to counter offer. Bob asked her what he should counter offer. She said “Bob, this has never happened in all of my years in foreclosure realty but the bank has a predetermined price. You need to redo your bid to $23,500 LESS than you originally offered! Are you still interested? We about ran everybody off of the road to get to the bank and fax our new offer! Amazingly, we closed and moved into the home in 30 days! Oh, we bought the house, with closing costs, for $136,000. Our flood insurance check was $136,000! We moved into a 3000 square foot brick house with an 800 ft., two-story sunroom, on 18 acres, on the bluff, overlooking our farmland! Included were custom drapes, lilacs, and an 80-foot blue spruce tree. We feel very blessed! All along, my husband spoke the one-word “patience” to me. It has been 10 years since the levee broke June 15th, 2008. Don’t feel sorry for us or our house though. We came out pretty well even though it took two years of faith, patience, and perseverance! Helen‘s note: What an amazing story that resulted in a true blessing for a wonderful family! I cannot tell you how much I admire Susan and her family for their courage and faith! They are an excellent example and light to many of us in our often-challenging world. Thank you so much, Susan, for sharing all of this with us, the extended family and for generations to come. Hopefully, it will stand as a great example to trust in God, to persevere, work hard, and have patience. 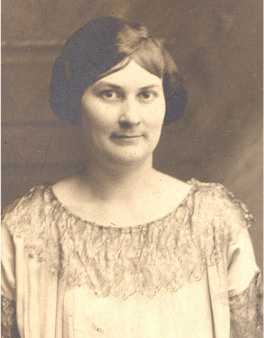 Helen Youngblood Holshouser —a Southern woman whose heart is family! Categories: Information, Youngblood family posts | Tags: God's Provision, Kerr, Mississippi River Flood of 2008, Youngblood | Permalink. School is starting again this week for millions of children around the USA and the world. What a perfect time for me to tell you about some of the teachers in our family tree. I can count almost forty teachers in just a couple of generations! What a legacy they are leaving, what an example they are and have set! I am so proud of each of these educators, and so pleased to be counted among them and related to them! 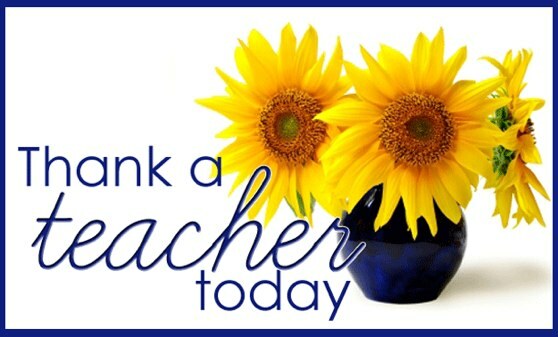 Teachers are so important, how is it that we, as a society forget that, or neglect them sometimes? All it takes is to send your 5 year-old child or grandchild off to school under someone else’s control, influence, and guidance all day, to realize just how important they are! As the years progress, not only do we count on teachers to socialize our children, we count on them, depend on them to actually educate them! We want our children not only to read, write and do math, but to learn to think critically and solve life’s problems well! We might also hope they learn a sport and sportsmanship. What about a foreign language? Art, music, theatre, calculus, geometry, history? Yes, we want it all–and we don’t want our teachers to complain that they are poor or to act out in any way! Wow! Tall order! 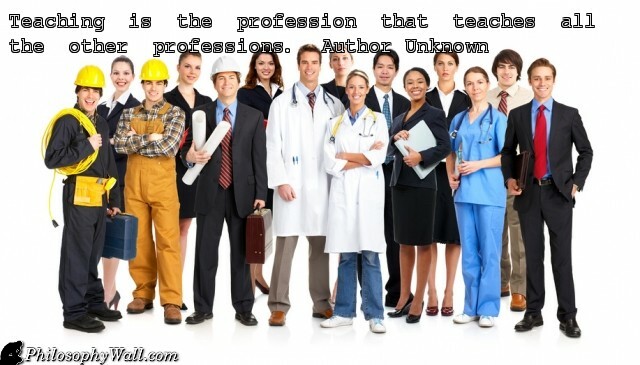 I am proud to say many men and women in our family have chosen this noble profession! 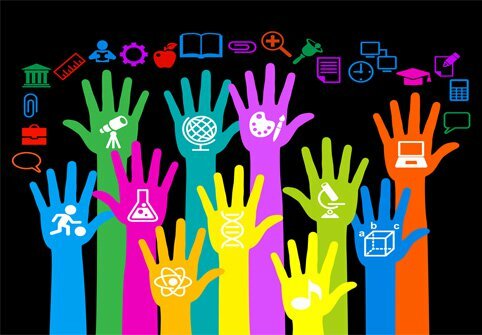 This post will highlight family members who have chosen Special Education and Elementary School Teaching for their career. The next couple of posts will feature Middle and/or Junior High School teachers then climb the ladder through High School, and meet the Principals are in our family tree! There are also family members who’ve taught in our business schools, community colleges, and Universities as well! All of these educators represent a great deal of brain power! Special Education Teachers are teachers who teach children with cognitive and/or developmental impairments, learning disabilities, and behavioral and emotional difficulties that impede learing. They are courageous and magical! Previously I wrote a blog post about my Mother’s sister, my Aunt Janey Bell Kerse Sommers! 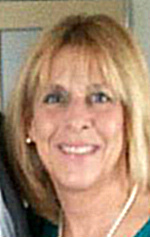 She was a teacher of students with behavioral and learning problems. She spent over twenty years dedicated to helping them do the best they could do, then became the Special Education Supervisor for all of Forsyth County Public Schools, Forsyth County, N.C., mentoring other teachers along the way. You can see her story “Janey Bell Kerse Sommers, 1923-2002, Brilliance and Joyfulness Dimmed by Alzheimer‘s” by clicking on the title. What is amazing to me, is that even though Janey Bell Somers had no children of her own, she inspired several generations of young people to teach and to learn. 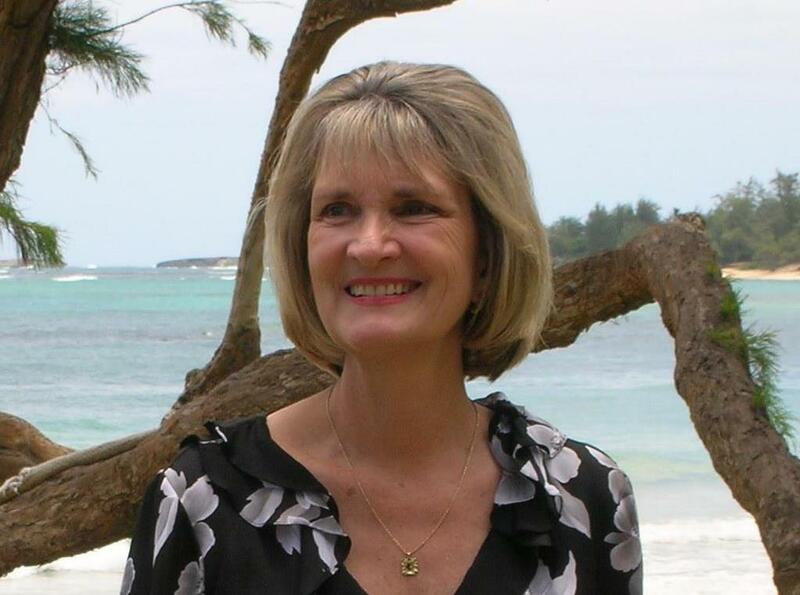 She motivated me to teach students with special needs–in learning, in behavior, which I did for seven years before I became a family therapist. I taught children in elementary school at first, then I moved to a Junior High where I had children ages 12-16 in my classroom . Their academic skills ranged from about 3rd grade to 9th grade, and I prepared individualized plans for each student at their level in each subject! Every day we worked on social and behavioral skills and goals as well. One student got angry while in time out, and set our classroom which was in a mobile unit (trailer) behind the school, on fire! Another time a student attacked me physically and took me backwards, over the sofa where I was seated, onto the floor! One student hot-wired and stole my car! (He brought it back after a brief joy ride!) LOL, no wonder I had a heart attack at age 50! I was challenged everyday with these students, and cared for them deeply. Wow! The above brings tears to my eyes–what a great tribute! Remarkably, we have another young cousin, also through the Langhorne line, who taught students with behavioral and emotional difficulties! 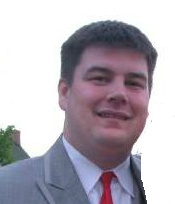 Jonathan Daniel Nichols is my second cousin, and he taught in Maryland. He is smart, caring and well-respected. He continued a family tradition he didn’t even know existed when called to teach the most challenging students. We especially need men to serve as role models for this population of students. I am so proud of him. Special Education seems to be a calling for many in our family, as we had a Great Aunt Josephine Bell Houchins who taught deaf students at the Virginia School for the Deaf and Blind in Staunton, Virginia for many years. I remember how interesting it was to go and visit her and her husband my Great Uncle John Langhorne Houchins, and see her talking with the students in sign language. During breaks I was mesmerized to watch the students gather with their friends and engage in animated sign language chatting just like we did between classes at school, only they were quieter but more expressive. Another Youngblood cousin, my second, once removed, Jamie Beck Skinner is a Special Education Paraeducator at Abingdon Elementary School in Abingdon, Maryland. While the teacher leads a group activity, Jamie might be giving another student private reading lessons. She is truly a para–beside–educator who teaches where and when the teacher cannot. It makes it possible to reach some students, to prevent melt-downs, to teach to certain strengths and weaknesses not possible with only one teacher in the room! 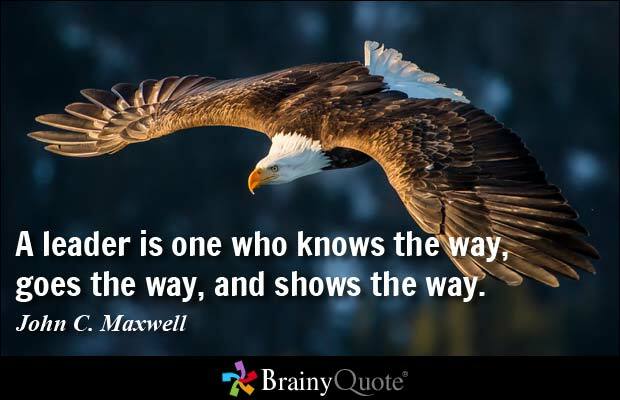 What a blessing a paraeducator in the classroom is! It’s hard to believe, but in our immediate family system, I have another cousin who is a Special Education Supervisor! She serves the people of New Hampshire! Mary Casey Goodell is a dynamic, dedicated educator who has been mentoring other Special Education teachers for many years now! So, two supervisors of Special Education, and eight special education teachers in one family, pretty amazing! I wonder if there is a call to serve others embedded in our dna? Those who teach kindergarten through fifth grade work with children as they meet a great number of their developmental milestones, socially, physically, and intellectually. Teachers and parents are the ones who help mold and shape us at these formative ages. My sister Anne Youngblood Prince has retired now after teaching fourth, fifth, and sixth grades in both public and private schools for over 36 years! She earned her Master’s Degree in Reading at the University of Richmond (Virginia). 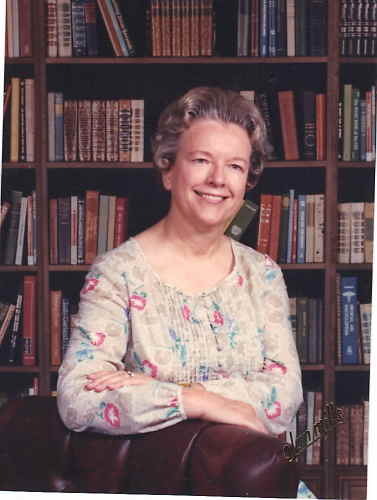 Most of her teaching career was spent guiding fourth graders at St. Christopher’s School, a private Episcopal school for boys in Richmond, Virginia. Anne was highly dedicated to her students and was an excellent teacher who was always thinking about, training for, or putting into practice her myriad skills to give her students the best education possible. You couldn’t ask for a kinder, smarter, more successful teacher. She taught long enough to teach the children of some of her students who were so proud to have their children in her care. One of Anne’s mentors was Elizabeth Walker Youngblood, wife of Lewis Jr. and mother of Mary, Lewis III, and Susan. As described above, Susan is now teaching for her 33rd year! What a great influence Liz was for her children and many others. Liz and Anne, my sister, taught fifth grade at L.L. Beasley Elementary School in Prince George County, Virginia at the same time, and my sister remembers her as creative, skilled and highly motivated to do an excellent job. I remember Liz also as a wonderful, firm, kind, and very intelligent woman. Unfortunately, she is the second teacher in our family taken ill by that crushing disease Alzheimer’s! 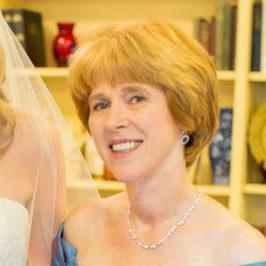 Liz also served as an assistant principal as well in a school in Colonial Heights, Virginia. 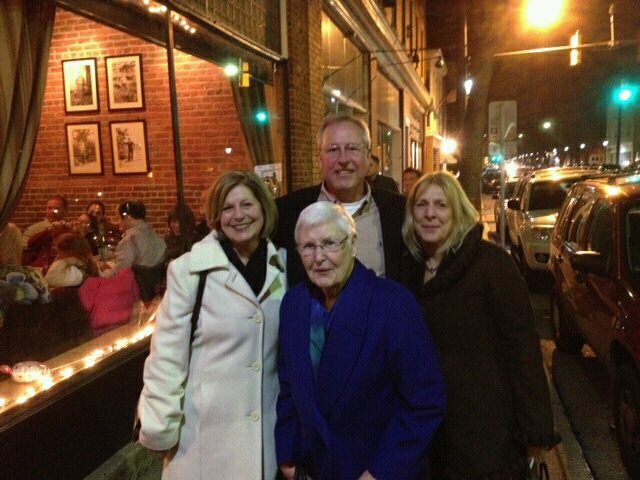 My sister Anne tells an interesting story about how she first met Elizabeth Walker Youngblood in 1952. Anne was in fourth grade at Bon Air Elementary School, and was her classroom’s representative to the Red Cross School Committee. Elizabeth was the Red Cross School Coordinator for all the schools in Chesterfield County,Virginia. Liz sat right down beside Anne and introduced herself as the fiancée of her cousin! (Her husband Lewis Jr. was our father’s first cousin.) “Let me show you my ring. I just got engaged to your cousin!” Elizabeth was so kind to ten-year old Anne, that they became friends for life and then coworkers. My first cousin once removed, Susan Youngblood Rawls, taught fifth grade for ten years at Crestwood Elementary School in Chesterfield County, Virginia. She is now the Director of a preschool. Energetic, enthusiastic, and smart as a whip, she is quite amazing! How lucky are all the little children, all the families who enter her school! She will help get them started in the right direction, will help lay the ground work for their happiness and their learning the rest of their lives! That is one tall order and a major accomplishment! Lauren Ruby, daughter of Jamie Beck Skinner and another Youngblood cousin, teaches Kindergarten at Taneytown Elementary school in Carroll County, Maryland. 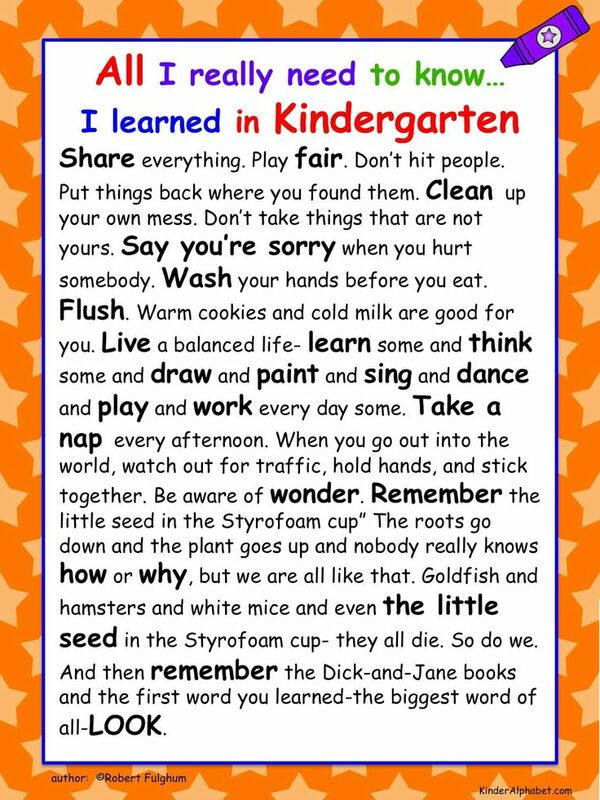 Do you remember the poem by Robert Fulghum that reminds us what we need to succeed in life we learned in kindergarten? Well, that’s Lauren– preparing her students to succeed in life and in school! A tall order that she handles with aplomb! Maryrose Youngblood, my first cousin once removed in my wonderful family tree, taught fourth grade like my sister for many years in Highland County, Virginia. These Youngblood women– we are hard workers, and we are directors at heart and by dna! 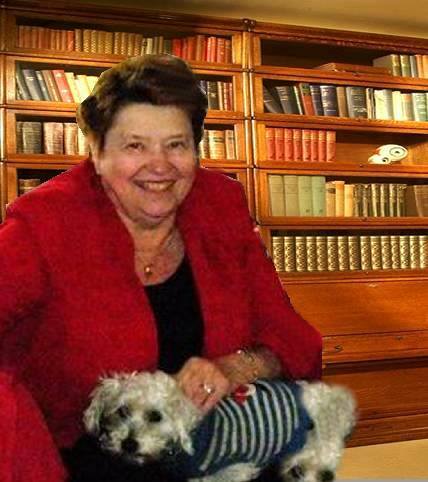 Kind, efficient, smart…Maryrose was an outstanding teacher. 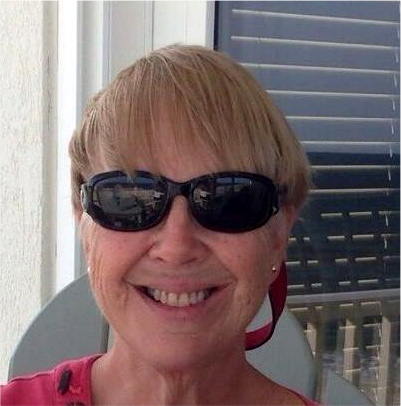 Kathy Lee Pack, daughter of Marshall Youngblood Lee and Robert Lee, has been teaching at the elementary school level in Florida for 31 years this year! All of those years were as a 4th grade teacher until the last two when she changed to second grade! 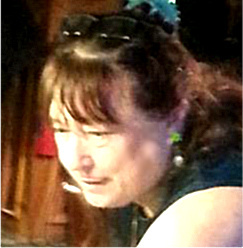 Kathy has four adult children and grandchildren to keep her busy. She is my second cousin once removed, and a Youngblood woman through and through. By that I mean she can handle a room full of 30 restless 6 year olds and make them feel good about themselves because they chose to complete their math assignment while she was reading with a small group! 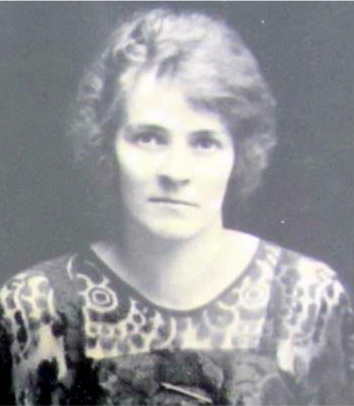 A cousin through the Voorus, Hogue, and Spangler family lines, Besse B. Voorus was born December 12, 1893. Miss Voorus was graduated from Pleasantville High School and received her bachelor of arts degree from Slippery Rock Normal School. 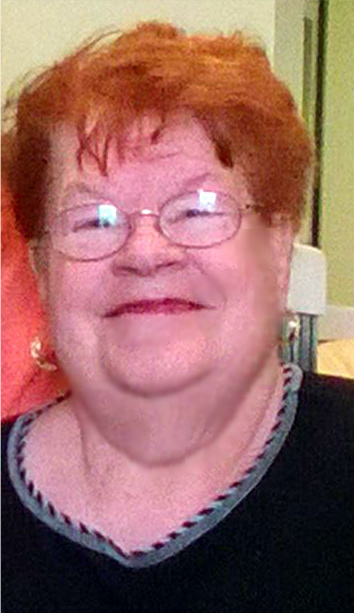 She was an elementary school teacher for over 43 years, teaching in both the Oil City and Meadville School Districts in Pennsylvania. One of her great nieces remembers her mother talking about having Bessie as a teacher and her encouraging them to learn about Geography especially. Wouldn’t it have been a surprise to realize a little girl you taught in elementary school would grow up to marry your nephew and her children would be your great nieces and nephews! Besse taught for forty-three years and died in 1992 at 98 years old! Can you imagine what she witnessed in her lifetime!? The things she witnessed and was able to teach her students–she lived through horse and buggy days to automobiles and rockets to the moon! She saw cooking with wood to gas, electricity and even microwaves! Television didn’t exist in her childhood, but later became a huge part of our lives! Talk about having to be adaptable! Just to live successfully she had to be willing to change, grow, and adapt–weren’t her students lucky to have such an experienced teacher and a versatile one! 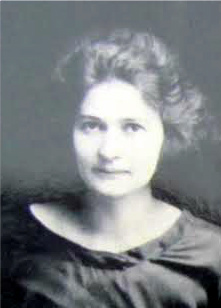 Bessie’s sister, Dorothy Pearl Voorus Hogg was a teacher also, teaching in Slippery Rock, Pennsylvania. Her husband was also a teacher who will be featured as well. 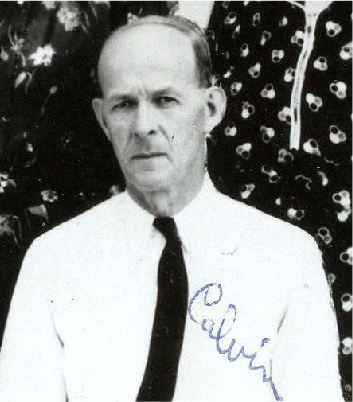 Dorothy and Calvin had six children of their own, can you imagine how busy this lady was day in and day out! . She began teaching in a one-room school-house with all grades together, and taught long enough to enter a modern elementary school building in the 1950’s and into the early ’70s! This kind of longevity always inspires me. 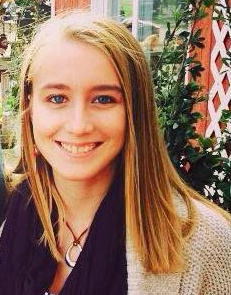 Lena Voorus is the third sister to teach in the Elementary Schools of Slippery Rock, Pennsylvania! Born in 1889, Lena died in 1978 all in Venango County, Pennsylvania. Unfortunately, Lena had a stroke and became wheelchair bound. Her sisters took care of her and stayed supportive of each other. Her great nieces and nephews remember her as sweet and kind, a great tribute. What’s amazing to me, is that these women, born in the late 1800’s, at a time when women didn’t generally work outside the home, went out and got their education, and worked at a profession. That takes a lot of courage and fortitude, good for them! My Great-Aunt Julia Houchins Nichols became an attorney. However, she was only 15 in 1900 when her mother died. Her father soon deserted his six children and moved out-of-state. Thank heavens the children did have a guardian angel and grandparents nearby. Nonetheless, never one to let grass grow under her feet, Julia went out and got a job teaching. The story goes that Julia, only a teen still, went to apply for a teaching job in the mountains of southwest Virginia in Patrick County, where she lived. The person interviewing her asked her what she could tell him that would impress him and make him think she was smart enough to teach. She told him she could tell him exactly how many boards for lumber he could get from any sized tree. She had caught his attention, and he pointed to a tree outside the window and said “Okay, tell me how many boards could you get from that tree? Julia solved the problem aloud, and her reasoning and math skills so impressed the man, he hired her on the spot! Later she told family that she was so thankful that her family member, I’m not sure who, had worked in a sawmill, so that she had learned this skill. I’m sure she was an excellent teacher, she had four younger brothers to wrangle with after her mother died, children didn’t scare her! Julia lived from 1885 to 1969, another witness to travel by horse to travel by rockets to the moon! She served as the very first female Assistant District Attorney in the State of Virginia. Julia was a force to be reckoned with, and was highly loved by her family and still is today by grandchildren who are now grandparents themselves! Eight Special Education teachers, and ten Elementary Education teachers–what a group to be proud of, but they are not all of the educators in our family! In the next post I will tell you about our Middle and High School teachers as well as our Principals, and College Professors! What a legacy they are creating or have left for our family. 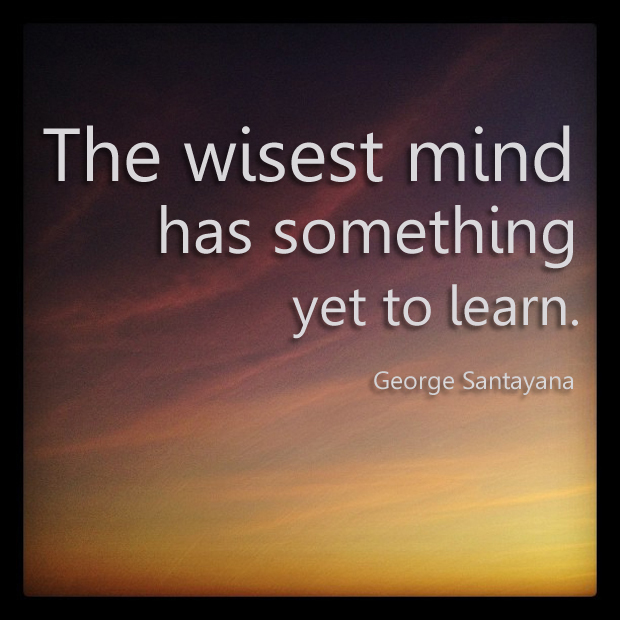 It’s Fall– “time to go back to school”– it seems that teachers hear this call in their souls! Categories: Genealogy, Hogue/Hoge/Hogg family posts, Houchins family posts, Information, Langhorne Family posts, Voorhees Family, Youngblood family posts | Tags: Anne Y. Prince, Bessie voorus, Dorothy Voorus, Elizabeth Walker Youngblood, Helen Youngblood Holshouser, Jamie Beck Skinner, Janey Bell Kerse Sommers, Jonathan Nichols, Josephine Bell Houchins, Julia Houchins Nichols, Kathy Lee, Lauren Ruby, Lena Voorus, Mary Goodell, Mary Rose Youngblood, Susan Youngblood Kerr, Susan Youngblood Rawls | Permalink. At my current age of sixty-six years, it was mostly my 2nd Great Grandfathers, eight in number, who fought in the Civil War. That whole generation was affected–those born in the 1830’s and 1840’s and dying in the war or after 1880. I remember how surprised I was to look at my family tree and realize that. I had put a little picture beside all the folks who fought in the war, and when I looked at my pedigree, there they were, all lined up–my 2nd Great Grandfathers! One young 1st Great Grandfather lied about his age and entered the war early, and a couple of elderly 3rd Great Grandparents served as well, but mostly this was a tragedy for my 2nd Great Grandparents, who, thank heavens, had children before the war, or after, so that here I am, a product of all eight of them. 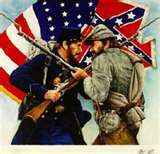 “The Civil War” as we call it in America, was fought between April, 1861 and April 1865. Many issues entered into the conflict, but the overriding matter of the day was slavery, especially the expansion of slavery into the western areas of the growing United States. Altogether, eleven Southern States of the United States seceded, decided they no longer wanted to be a part of the United States of America, but wanted to join together as the Confederate States of America, often called the Confederacy, the South, or the Rebels. The United States forces were called the Union, the Yankees, or the North! After four years of battles, burning, and destruction, Wikipedia reports http://en.wikipedia.org/wiki/American_Civil_War that there were an “estimated 750,000 soldiers and an undetermined number of civilian casualties. One estimate of the death toll is that ten percent of all Northern males 20–45 years old, and 30 percent of all Southern white males aged 18–40 died.” We genealogical researchers in America have all probably noticed the many, many widows and fatherless families on the 1870 and 1880 censuses due to this terrible war. The Confederacy lost, the slaves were freed, and the South had to slowly rebuild and learn a new way of life. After the war, almost everyone in the South was poor, their confederate money was no good. Even the plantation owners were “land poor,” unable to afford to hire their former slaves or other workers to work their large fields! 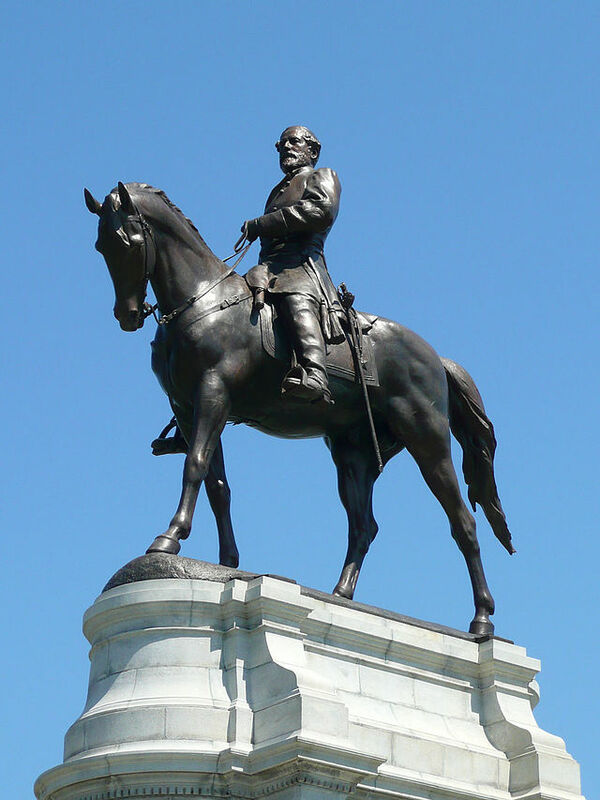 Growing up in Richmond, Virginia, the former Capital of the Confederacy, with statues of Robert E. Lee, Jefferson Davis, Stonewall Jackson, and JEB Stuart adorning our major thoroughfare, Monument Avenue, one could not help but feel a sense of pride in being “Southern.” Stories were everywhere, and the pride of being Southern lay not in the reality of the war, but in little girls’ visions of verandas and sweet tea, white gloves and hoop skirts! It had nothing to do with slavery, especially since even in 1960, when I was eleven years old, blacks were pretty much completely segregated from whites. As a white child, I didn’t know it should be different, I am sorry to say. By the time I was six, I knew the “Rebel Yell,” which we used to summon our playmates when we went outdoors to play. The South was highly glorified of course. As I grew up, I learned that there was so much more to the story, of course. My genealogical research helped me truly understand. One of my four maternal 2nd Great Grandfathers was Robert Kerse, an Irish emigrant arriving in America in 1850 at age 18. He married and had three of his ten children by 1861, then fought in the Civil War as a Confederate, protecting his own city of Richmond, Virginia. His one and only horse was shot out from under him! Right on Fold 3, a genealogical site for military research, I can find his muster roll sheets, and letters from his superiors attesting to the fact that his horse was shot out from under him in battle, and that his claim against the US government after the war, to get a new horse, should be honored. Oh my gracious! Enlisted in Company B, Virginia 2nd Infantry Regiment. “At the time Miss Fannie Langhorne was ten, and the Civil War was being fought, Stoneman brought his Yankee army from Tennessee down what is now the J.E.B. Stuart highway. In passing they annexed one of Mr. Langhorne’s horses which happened to be his favorite. He, though blind, accompanied by his small daughter Fanny, insisted on following the army to Stuart in search of his horse. There the captain agreed to allow him to retrieve his horse if he could recognize him. Mr. Langhorne set Fanny to hunt the animal. After walking down the long line of horses hitched to the racks along the road and back again, she was unable to find him. On her return, however at one side, away from the rest, she saw her father’s mount and immediately squealed in delight. Mr. Langhorne was led over to a tall roan mare, not his, but near the one Fanny had discovered, and told to see if that were his. Fanny squealed to the contrary, but Mr. Langhorne turned to her and said, “You don’t understand the joke”. Then his hand was placed on another, his own; this time he said, “This is my horse, but not my bridle”. (If you’d like, you can find this story here: http://www.mtnlaurel.com/mountain-memories/406-fannie-langhorne-spangler-an-interview-from-1935.html) That took courage and audacity, on his and young Fannie’s part! My third maternal 2nd great grandfather, William W. Stoops also served in the Civil War. He served in Company G, 21st Regiment, Virginia Cavalry. It was made up of older men who could not do the long marches so it was a cavalry that stayed close to home to protect railroads, bridges, and mines. My fourth maternal 2nd Great Grandfather was an Italian Immigrant, Louis Botto. It looks like he arrived in America perhaps about 1844, and he and his wife, my grandmother, Catherine Revaro Botto, had their first child in Richmond, Virginia, in 1857. I believe he had a brother named Frank Botto, and we can clearly see Frank registered to fight in the Civil War. Unfortunately, although I can find Louis Botto in the 1860 census, I’ve yet to find him anywhere else, except that his wife is listed in the phone book as the widow of Louis Botto and by 1866, she has remarried. I wonder if Louis was killed in the war? Did he get sick and die? Did he leave the family, as I find Louis Bottos in several other areas of the country? I still have a ways to go in my research to prove this. One cousin told me that when Lewis moved to Petersburg, he joined the local Methodist Church, Gary’s Methodist Church. They say he was so hated, that when he came into the church and sat down, the whole congregation stood up and moved to the other side of the church! My poor grandfather and his siblings had to grow up this way! How would Lewis Jacob feel to think that 100 years later, he had a great granddaughter who prided herself in her Southern heritage! Hugh Jackson Hogue, 1825-1870, Pennsylvania is my 2nd great grandfather on my father’s side, and is of Scottish descent. He, along with his son, my great grandfather, Robert Fulton Hogue, 1850-1924, also fought at the Battle of Petersburg, and Robert came back to settle there as well! Robert was underage, only 15, when he joined his Dad in Petersburg, and served as a bugle boy, a water boy, and took care of the horses. 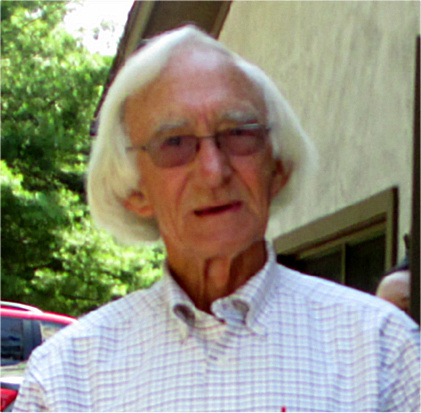 In later years, Robert’s daughter, Helen Blanche Hogue married Edwin Spear Youngblood, son of Lewis Jacob Youngblood, both children of Yankees who relocated to Petersburg, Virginia, both families members of Gary’s Methodist Church. Had the fathers met in the war, or did they meet in church when being shunned by others? What would it have been like to grow up in a small southern town, a yankee revenue agent for a father, just after the Civil War? How is it that Edwin and Helen’s son married a Southern girl from Richmond, Virginia? Of course, she was only partially a “Southern girl”–she, my mother, was Irish and Italian also, and proud of those heritages. My other two paternal great grandfathers did not participate in the Civil War, one, Edwin Speer whose ancestors hailed from the Netherlands and Germany, was too old, with the next generation too young. The other was a German emigrant, Gustavus Voelkler who only arrived in America about the time the Civil War was ending. Lucky them. Again, the melting pot is evident. Dad’s family includes Scots, Germans, and Netherlanders mostly. Mom’s English, Irish, and Italian mostly. It always amazes me! The Kerse’s of Ireland, were originally the DesCearsais family of France! One hundred fifty years from now, 2015, will be the year 2165. It’s possible I will have a 2nd or 3rd great grandchild who is my age by then. What will I have done that they might discover that will affect the way they think of me, or the way they think period, the way they regard history? Wow, that’s a humbling thought, yet now I know that my ancestors affected history, they fought, they struggled, they were there. 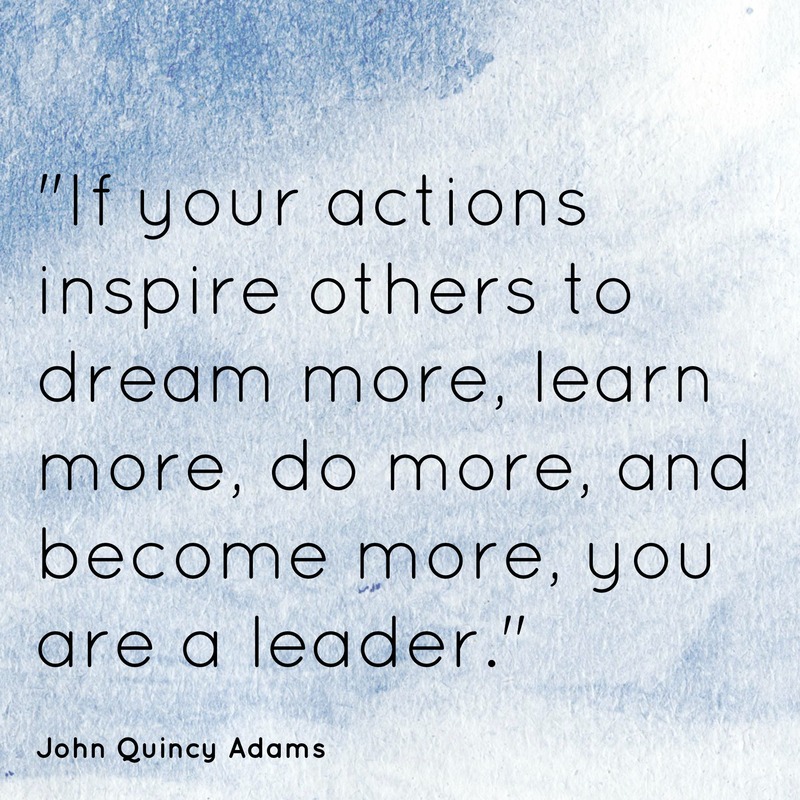 They have affected me by sharing their beliefs, their courage and strong wills, their desire to make a difference–traits I feel in myself today! Would I have been a Confederate or Yankee if I were alive during the Civil War? If I were a child, of course, I’d have done whatever my family did, and possibly been a southern Confederate. However, after all these years of being proud of my Southern heritage, I could never support slavery…so I suspect I would have been a Union sympathizer if not an outright flag waving Yankee! I see this same type of civil strife continuing everyday of my life. Our country in 2015 is about as polarized between the Democrats and Republicans as it was in 1861! Some even think we’re moving again towards a Civil War! While I feel very strongly about my political views, would I pick up a gun and shoot someone over it? I can’t imagine! I might get angry at a neighbor or family member who believes so very differently from me– that doesn’t mean I don’t respect their right to have those views, just not to force them on me. Having strong beliefs can lead to conflicts, broken families, even wars, I see it in my own family, and in our world. What might your descendents think of you, of your lifetime? –our lifetime? It’s a lot to consider, but our genealogical research leads us to these questions. Categories: Botto/Raffo/Revarro family posts, Hogue/Hoge/Hogg family posts, Kearse/Kerse family posts, Langhorne Family posts, Stoops Family posts, Youngblood family posts | Tags: American Civil War, Hogue, Kerse, Langhorne, Rebel, Stoops, Yankee, Youngblood | Permalink. Lewis Jacob Youngblood was my great-grandfather. My direct Youngblood cousins are all descendants of this man, and we are a large group. Some of us have known each other all of our lives, while others have just met in the last year or so. Lewis and his wife Clara B. Spear not only have great-grandchildren, but 5th great-grandchildren living as of the date of this writing, November 4, 2014. It is so exciting to have cousins come together to share their knowledge and memorabilia from Lewis J. Youngblood, so that all the current and future descendants may enjoy knowing about their grandfather. Although none of us alive today actually met Lewis Jacob Youngblood, we knew some of his children, and we heard the stories of his life, so we know a few things about him. We know he must have been brave, because as soon as he was 18 years old, he joined the New Jersey Cavalry, and fought throughout the rest of the Civil War. We know he was smart, because after the war, he worked as a tax collector for the federal government–dreaded in the South! 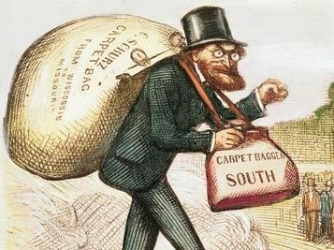 I imagine he must have had a toughness about him, as his move to the South after the Civil War and his buying a farm in the Petersburg, Virginia area, earned him the title of “carpetbagger”. This was the derogatory name applied to the many northerners who moved South after the Civil War with all their belongings in carpetbags. They came for the opportunity to buy land which had become cheap from people who had become poor because their Confederate money was worthless, and their huge farms often couldn’t be worked without slave labor. His community didn’t like him we are told. When he went to church at Gary’s Methodist Church, no one wanted to sit near him and would usually move to a different place in the church! Feelings from the Civil War ran deep, and he was a Yankee in Rebel territory. Lewis was the son of Jacob Youngblood, 1807-1869, and his wife Mariah Charlotte Cooper, both of whom were born in New Jersey, USA. 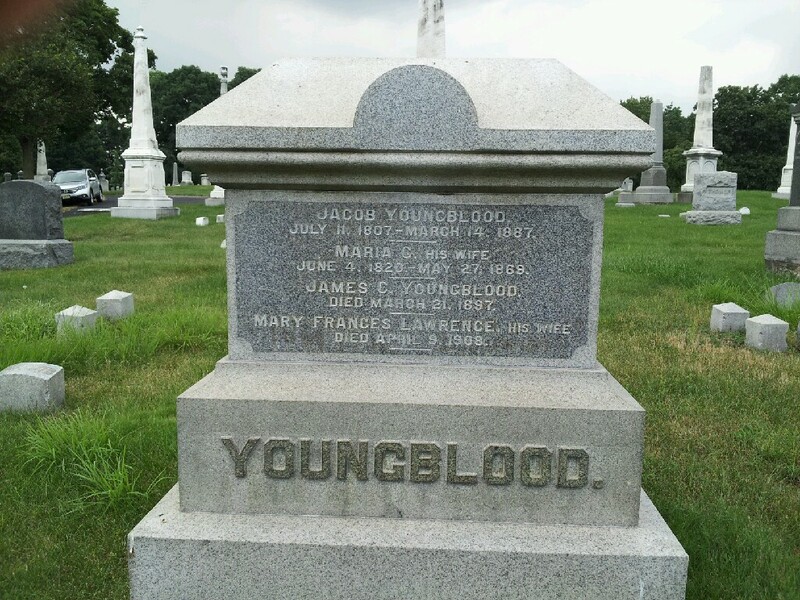 Jacob’s father, John H. Youngblood, was the first Youngblood emigrant to America, in this line. He arrived from Germany where the name was spelled Jungblut/Jungblot. We are looking forward to the day when our genealogical research identifies John’s parents and place of birth. Mariah Charlotte Cooper is often found spelled Maria or Moriah as well. However, family stories clearly identify her as Mariah. In fact, Lewis Jacob named his first daughter Mariah after his mother of course, and his second child, a son James Cooper Youngblood, again after his mother. Jacob and Mariah had six children including Lewis Jacob, the focus of this story. They were James C. Youngblood, 1841-1897, Emma born in 1844, Lewis Jacob 1846-1919, Laura E. born in 1851, John J. born in 1853, and Hattie born in 1858. These childrens’ stories will be told at another date. As we know, Lewis joined the Union Armed Forces when he was eligible to do so at age 18. He must have been a skilled horseman, because by then, the Union was testing their Cavalry recruits for superior horsemanship. They would have to concentrate on fighting, handling their horse had to come second nature to them. We know from his military records that Lewis enlisted as an 18-year-old Private in the New Jersey Cavalry, 2nd Regiment, Company E. From records gathered on ancestry.com, we can not only see that he enlisted on 5 September, 1864, but that he mustered out on 29 June, 1865 at Vicksburg, Mississippi. The source of this information is the Register of Officers and Men of New Jersey in the Civil War 1861-65, and Historical Data Systems, comp. U.S., Civil War Soldier Records and Profiles, 1861-1865 [database on-line]. Provo, UT, USA: Ancestry.com Operations Inc, 2009. 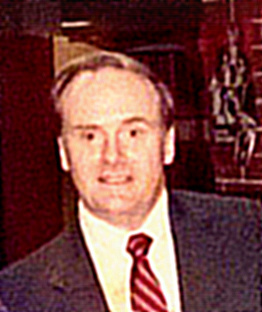 Original data: Data compiled by Historical Data Systems of Kingston, MA from the following list of works.Copyright 1997-2009, Historical Data Systems, Inc. PO Box Duxbury, MA 02331. Furthermore, we can actually find out in what battles our grandfather fought . We learn that the 2nd Cavalry of New Jersey participated in many battles before Lewis was old enough to join their ranks. Exactly seven days after Lewis joined his Cavalry, on Sept 12, 1864, his Cavalry was engaged in a battle in Memphis, Tenn.! He was 18 years old, and only one week in the Cavalry. Was he excited, scared to death? I cannot imagine! The following information lists other battles Lewis participated in and tells us the story of their experiences. -Fought on 12 Sep 1864 at Memphis, TN. – Fought on 13 Sep 1864 at Memphis, TN. – Fought on 5 Oct 1864 at Memphis, TN. – Fought on 28 Dec 1864 at Egypt Station, MS.
– Fought on 18 Feb 1865 at Mississippi. – Fought on 28 Apr 1865 at Clayton, AL. cavalry brigade commanded by Col. Waring, of the 4th Mo. 11 prisoners and 2 commissioned officers, was captured. Nov. 1, 1865. (This was also known as the 32nd N. J. Historical Data Systems, comp. American Civil War Regiments [database on-line]. Provo, UT, USA: Ancestry.com Operations Inc, 1999. This is all very exciting, and quite amazing to find in my opinion, but we have more! Lewis kept his saber that he used in the Cavalry, his Spencer’s Repeating Rifle, and his original discharge papers from the New Jersey Cavalry of the Civil War, signed at Vicksburg, Mississippi, and dated 29 July, 1865. He gave these items to his sons, James Cooper Youngblood, 1875-1935, and Lewis H. Youngblood, 1889-1953. They in turn passed these treasured historic items down to their children! One more generation, the heirlooms were passed down again, and yet they survive and remain in the family! I had the opportunity to touch the discharge papers last weekend when visiting my cousin, Kay Youngblood Fuller who is the owner of this 149 year old document! Her sister, Susan Youngblood Rawls owns the rifle! Lewis H. Youngblood III owns the saber! Lewis, Kay and Susan have generously provided pictures for us so that we can all share in the treasures left by our great-grandfather! It is quite exciting to me, to look at these pictures and imagine our grandfather’s hands touching these items as well. The weapons may have saved his life, we don’t know. If not, we would not have been born, because he didn’t marry and start building his family until after the war! Our lives hung in the balance of his skills on his horse, with his sword, his rifle, and in his courage. I have never liked the idea of war. Having grown up a Southerner, it is hard for me to think of being glad this man may have fought other relatives of mine and that they might have hurt each other. Such conflict, can you imagine if you were alive at that time, and your family were split as we know happened? Very sad. Having these heirlooms in the family is an amazing treasure. We can see, touch, and learn so very much about our Grandfather and our history through these objects, awesome! Before we part, I want to list Lewis Jacob Youngblood and his wife Clara B. Spear’s children for you. Then I want to include relationship charts for the owners of these historic items as well. I am happy to do this for anyone in our family, just let me know if I can help. Lewis Jacob Youngblood and wife Clara B. Spear had nine children, all born in Petersburg, Virginia. How about a longer line, this may be one of the longest so far. Categories: 52 ancestors' stories in 52 weeks, Genealogy, Youngblood family posts | Tags: 52 Ancestors in 52 Weeks Challenge, Civil War, Civil War Discharge Papers, Civil War Rifle, Civil War Sword, Genealogy, Lewis Jacob Youngblood, Spencer's Repeating Rifle | Permalink. 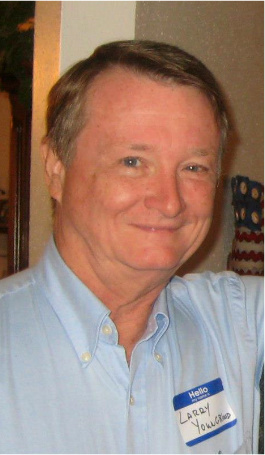 James C Youngblood has been missing ! (Only from my family tree!) I didn’t have him in the list of children born to Jacob and Mariah Charlotte Cooper Youngblood, and now that I have added him, I have only found him in one other family tree in Ancestry.com, which tells us he is not well-known! Of course, this makes me wonder how many other “children” I might have left out of the large families popular in days gone by! I hate to think of it! My own husband’s great, great-grandfather was left out of the line of Holshouser children born to his family, and his whole line of Holshousers were not invited to the extended Holshouser reunion for 25+ years, until a wise genealogist “discovered” his line! It can make a huge difference! Because of this personal experience, I have generally tried to be very careful to pick up all the children in a family, and to try to get them in the correct order. It is not easy, and not always possible! Censuses, wills, all help, but they are not panaceas! We have a Youngblood family group on facebook where we share pictures and discuss all kinds of things including dna and genealogy. It is helping us get to know cousins far and wide. Almost everyone in our group at this point, is a descendant of Lewis Jacob Youngblood above. Recently, I found the gravestone of Jacob Youngblood and his wife Mariah on Billion Graves. I could plainly see that there were two other names on the stone, and planned to figure out what it said, and who they were, but I was so excited, I went ahead and placed the picture on Facebook in our family group! It was then that my eagle-eyed cousin, Kay Youngblood Fuller, immediately called my attention to it, asking “Just who is that James C. Youngblood whose name is on the stone? ” I was like, ” Hmm…I don’t know! ” I had assumed it was a child of his, but when I checked his family, there was no James C! The interesting thing is, Kay Youngblood Fuller’s father was James Cooper Youngblood b. 1917. and her grandfather was James Cooper Youngblood, b. 1875!! They were both children of Lewis Jacob Youngblood b. 1846–the brother of this James C. Youngblood. Yet, James C. Youngblood was the son of Mariah C. Cooper, where the name came from, did he not have children? We know he married, because his wife is buried with him, it says so on the stone. In fact, it says Jacob died in 1887, his wife Mariah Cooper in 1869, James C. in 1897, and his wife Mary Frances Lawrence in 1908. James C. was 56 years old when he died, yet, he and Mary had one child born in 1880 I believe, named Frank! James C. Youngblood ended up being an interesting person to get to know. Part of that is because I was with my cousin Kay Youngblood Fuller, and we researched him together! On his US Civil War Draft Registration Records, available on ancestry.com, we find James C. listed as a “law student” at age 22 in 1863. According to the U.S. Civil War Soldier Records and Profiles, James C. Youngblood enlisted in Company E, New Jersey 1st Infantry Regiment on 27 June, 1863. 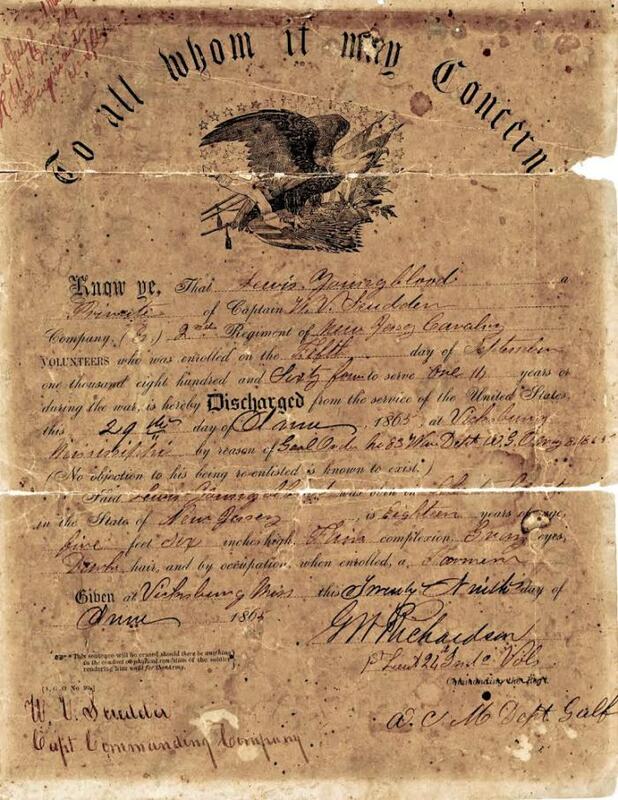 It says he mustered out on 24 July 1863, at Trenton, NJ. This is available on Ancestry.com, provided by the register of Officers and Men of New Jersey in the Civil War, 1861-1865. One Month! Only one month? Good job if you can get it! I’ll have to see if I can find out more about this in further research. 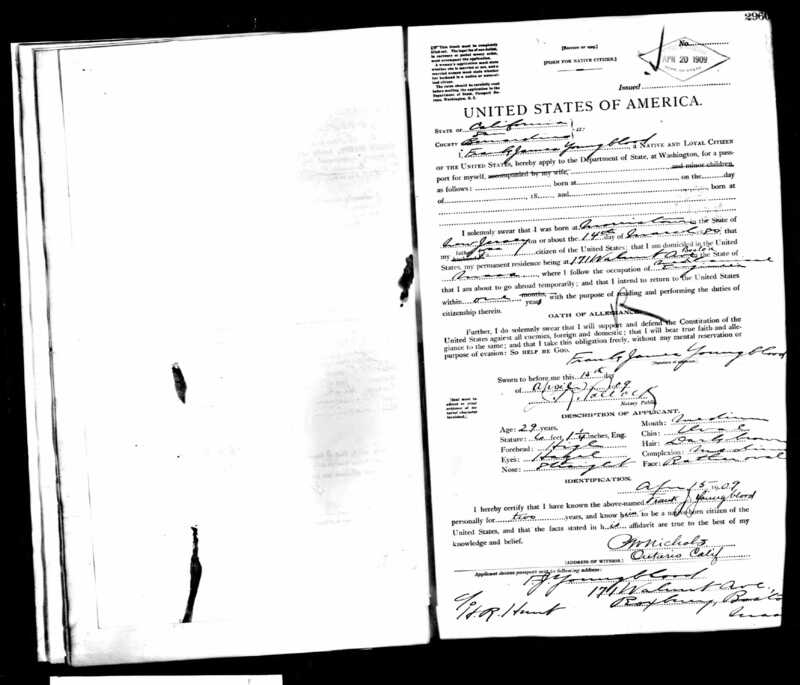 On the 1880 Census, James C. is listed as a lawyer, is living with his wife Mary Frances Lawrence, at 356 Madison Street, Morris, New Jersey, and they have a 3 month old son named Frank! Also living with them is his mother-in-law Hannah Lawrence, his own sister Hattie Youngblood, age 21, and a cook named Rosa McDonald. I assumed Frank was the child of Mary Frances Lawrence and James C. Youngblood, but look beside his name on this census. It looks to me like it sas “McD son”–is he the son of James C. Youngblood and his cook, Rose McDonald? ! I did try tracking Rose McDonald, and on the 1920 census she has a son named Frank McDonald. However, our Frank has married, divorced and moved to Michigan by 1920. Of course, all the 1890 censuses burned, and James C. died in 1897, so what happened to Frank? 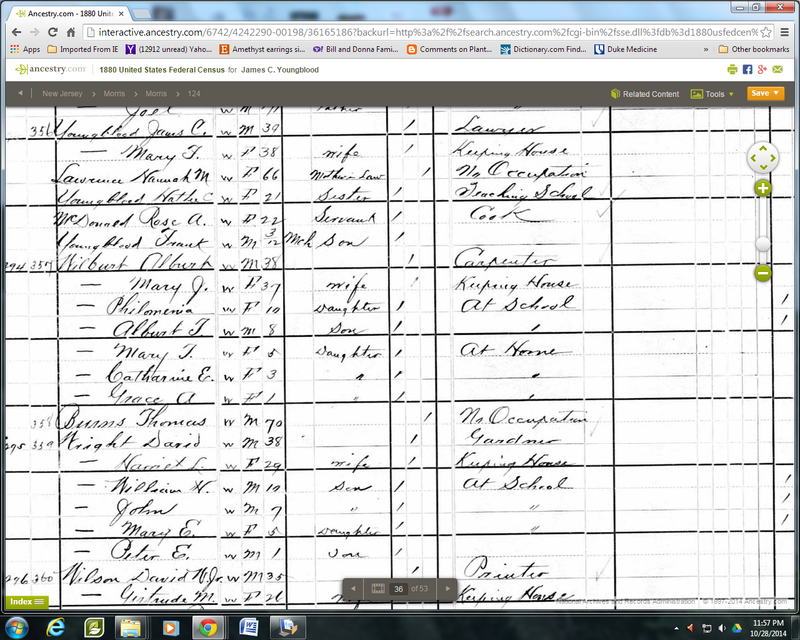 We find Frank alive and well, living with Mary Lawrence at the age of 20 on the 1900 census! In 1910, we find Frank in Philadelphia, working as a mechanical engineer, and living as a boarder with the Westbrook family, by then his Margaret Lawrence had also died. I did find a passport for Frank. Here we learn that his full name is Francis (Frank) James Youngblood. Apparently named for both his mother and his father. He was born March 14, 1880, in NJ, and has Hazel eyes, an oval face, and dark brown hair. He is living in Boston at this time, 1909, and he is 29 years old! In 1918, we find a Draft Registration Card for WWI in the US for one Frank J. Youngblood. 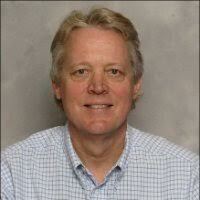 His nearest relative is listed as Lina May Youngblood. (Thanks to Aquilla and Cathy Meder Dempsey for their help deciphering this.) They are living in Philadelphia. I found later records , one listing a Francis J. Youngblood married to a Lina May in 1920. Another lists a Frank J. Youngblood with a sister named Lina May! Amazing! I have come to believe that this Registration Card is not even for our Frank! By 1920 he was divorced from Lillian May (very close!) but living in Wayne Michigan! Its so confusing! This is when you have to remember that all research is a process, as you gather and sort information. I would have just left this out entirely, but in my first post, before I corrected it, I had asked for help,a nd I appreciate those who responded, greatly! We shall see where all this leads. On the 1920 census, we find Frank working as the automotive mechanical engineer he is, in an automobile factory in Michigan! But how sad, he is divorced! A bit more research comes up with a marriage certificate to one Lillian May Shallow in 1910, with a divorce from her in 1912. As far as I can tell, they did not have children. On the 1930 census Frank still lives in a hotel in Wayne, Michigan, alone, and still works as an automotive, mechanical engineer. James died in 1934, at the age of 54, in Essex, Ontario, Canada. It appears he had traveled there on business and had only been in the country 4 days according to his death certificate. A friend was the informant, and did get his father correct, his place and year of birth and other things. He died of tuberculosis, which it says he’d had for 3 years! I am shocked that he was allowed to continue working, and to travel between the US and Canada! How sad to have the line end this way. Obviously Frank and his Father James C. were intelligent and talented, one a lawyer, and one a mechanical engineer. It’s sad that he did not have children for us to get to know! Categories: 52 ancestors' stories in 52 weeks, Genealogy, Youngblood family posts | Tags: 52 Ancestors in 52 Weeks, Genealo, Robert Nixon Youngblood, Youngblood | Permalink.